Ritual Union might be one of the newest names on the UK festival circuit, but the Oxford-based multi-venue all-dayer is already among the most talked about, thanks in no small part to its incredible line up, both at last year's inaugural event and its successor, which takes place Saturday 20 October. Spread across five venues situated on the city's Cowley Road (The O2 Academies 1 and 2, The Truck Store, The Bullingdon and The Library), this year's mouthwatering bill includes the likes of Gaz Coombes, Jane Weaver, Nadine Shah, Boy Azooga, The Homesick and Suuns** among its scheduled artists. 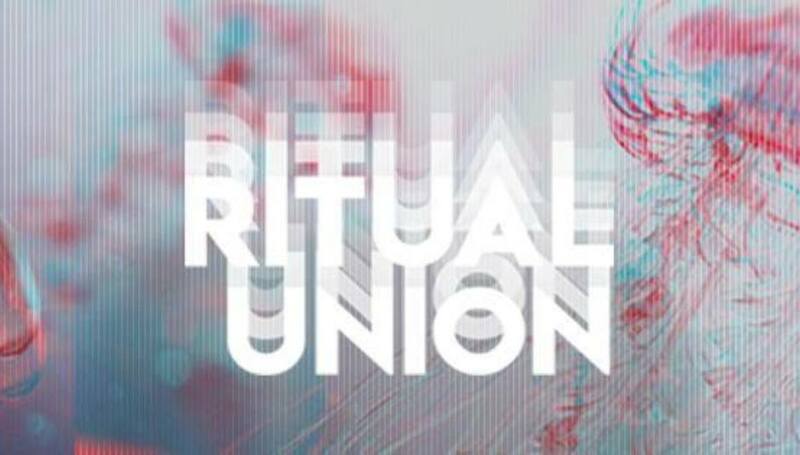 With the event less than a fortnight away, DiS found time in promoter and main booker Simon Bailey's busy schedule to find out what goes into organising and putting together Ritual Union. DiS: You've been involved in the music industry for a number of years. When did you decide to put together a music festival? Simon Bailey: It’s something I’d wanted to do for a long time but had never really had the means to do before. We’d got into a nice position with the regular touring shows we were doing here in Oxford and it felt like the time was right. What made you start an inner city, multi-venue event? We have the perfect set up for it here. All our venues are on the same road and within a three minutes stretch. It was important to me that if we were to have a multi-venue fest, it would be easy to get around so our customers can see as many bands as possible throughout the day. I’ve been to many multi-venue events over the years and at some of them, you have to walk 25 minutes to get to go and see your favourite artist. This loses you a lot of time throughout the day and minimises how many artists you can actually get to see for your money. Why Oxford? Was it always your first choice? We’ve been promoting around 150 artists a year here in Oxford over the last three and a half years or so, so it made total sense that we do it here. Added to the close proximity of the venues, I also think collectively, the audience here is most knowledgeable around. This enables us to be a bit bold and experimental with our choice of line-ups! This is the second year of Ritual Union. Was there a plan to extend it beyond the first year and if so, where are you aiming to take it in the future? Ritual Union is definitely here to stay. Last year’s event was a big success and I think we’ve gone bigger and better this year with the programming. Year on year, we’ll look to add more venues (we’re already in discussions with the local indie cinema) and more after show parties I think. We’d like to try and diversify the programming even further to focus on other genres of music too. Are there any possible areas for expansion or growth? Do you see Ritual Union moving beyond being a one-day event? I think this event works best as a one-day thing. We looked at possibly adding a second day this year and the overriding feedback from our audience was that they loved it being one day. We may look to roll out the event to a couple of other cities at other times of the year in the future though. What's been the most difficult obstacle you've had to overcome so far? Programming the festival is absolutely the hardest thing. We looked at several options of when we could hold the festival throughout the year and it seemed that no matter what the time of the year it was going to be hard, so we just went for it. We’ve been trying really hard to get some gender balance on this event, there are lots of wonderful female artists we work with throughout the year that simply weren’t available this year, so I’d like to see us improve that year on year. Who would you say are your biggest rivals/competitors on the festival circuit? I’m not sure I’d like to use the terms rivals or competitors as I think there is room for an event of this kind in most cities at some point in the year. Simple Things (Bristol), SWN Festival (Cardiff), and All Years Leaving (Birmingham) are all on the same weekend as us. Instead of seeing that as competition though, what it means is collectively we’re all able to put a run together over the weekend for specific artists that we would like to play. It’s also a very busy time of the year for bands touring so we find that certain artists we would like to play are actually up in Scotland that weekend or out in Europe somewhere. So I would say the biggest problem we face is the availability of the artists. When do you start planning for the following year's festival? Right now really! I already have quite a few artists pencilled in for next year's event. As our reputation is growing, we’re finding that people are asking us to come and play, which is lovely! This year, we had 80% of the line up booked by late January, early February, and I’d expect that to be a similar story for next year’s event. I start off with a wishlist that is way longer than the slots we have available so it seems to come together pretty quickly. We’re generally looking at either artists who have played with us in Oxford over the previous 12 months that we’ve loved, or artists we’d love to work with who we haven’t been able to yet. For the newer artists, it’s a great way to introduce them to the Oxford audience and everyone that has played last year and come back for a headline show has all done really well! Which booking are you most proud of so far? It’s got to be hometown boy Gaz Coombes headlining this year’s event. Although Josefin Öhrn + The Liberation and Bo Ningen were both amazing last year! I’m also particularly excited to be hosting Nadine Shah and Ghostpoet this year too! What advice would you give someone wishing to start their own festival? Work within your means. It’s pretty likely that you will lose money in your first year and probably your second and third years too. So only do it if you can afford it! Also, it’s important to work with artists you love - if you curate a bill that you really love and care about, that will come across to other people too. Do you think the UK festival market is saturated? How could that situation be improved? Yes and no. I think there is room for a similar event to Ritual Union in most cities once a year. And there are some fabulous festivals out there such as Green Man and End Of The Road. The music world is very wide and varied so there are lots of festivals out there catering to lots of different types of audiences and tastes. I think if you’re starting a festival and you’re looking to copy another event, you may well struggle, but if you have a good idea and you know your audience then there is probably a gap in the market for you. The key is a quality lineup at a price that makes sense to your audience. I think some festivals price themselves out of the market sometimes. For more information on Ritual Union, including where to purchase tickets, please visit the festival's official website.